PACK13 is the latest creation from Furious Team Labs including 1st in world solutions. The HOT unlocking and repairing software for Blackberry phones allows different uniques operations on Blackberry phones such as MEP0 Direct Unlock, Read Unlock Codes from new algorythm security, Repair IMEI functions, Fix Red Blinking phones these are only a short coktails of all the amazing features. It also support NOKIA Lumia Windows Phone direct unlock and IMEI repair, we also have added latest SAMSUNG models for code reading and direct unlock. PACK13 requires internet connection. Unlimited quantity of unlocking. Exclusive and regular updates. Furious Pack 13 Chimera Mobile Phone Utility allows you to unlock, repair and service BlackBerry, Samsung and Nokia Lumia phones. Furious Chimera Mobile Phone Utility allows user to unlock unlimited quantity of supported phones. Please note, in order to perform some features Chimera Tool Server Credits are required. 12 months of free updates and support. After the expiration date the user can extend server access purchasing Furious 1 Year Account Renew. Secure and easy access to support area in one click. 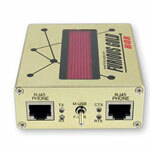 Activation can be used only in conjunction with Furious Gold products such as FuriousGold Box, FuriousGold USB Key. You will need to enter your Furious Gold box serial number and Furious Gold Box username in the fields above. Nuke a phone. This procedure can be performed only if user data must be destroyed. After the process is complete you need to flash a phone with new software. Fix application errors. This function will flash a full working ghost image onto your phone including SFI (OS), APP and SFI2 regions too. Normally it is needed if you can not finalise the flash process with BlackBerry original update software.